Hundreds of seals shot around Scotland’s coasts were pregnant, feeding their young or failed to die instantly, according to a major new scientific study. Seal pups whose mothers were killed have been left to starve to death, the study says. 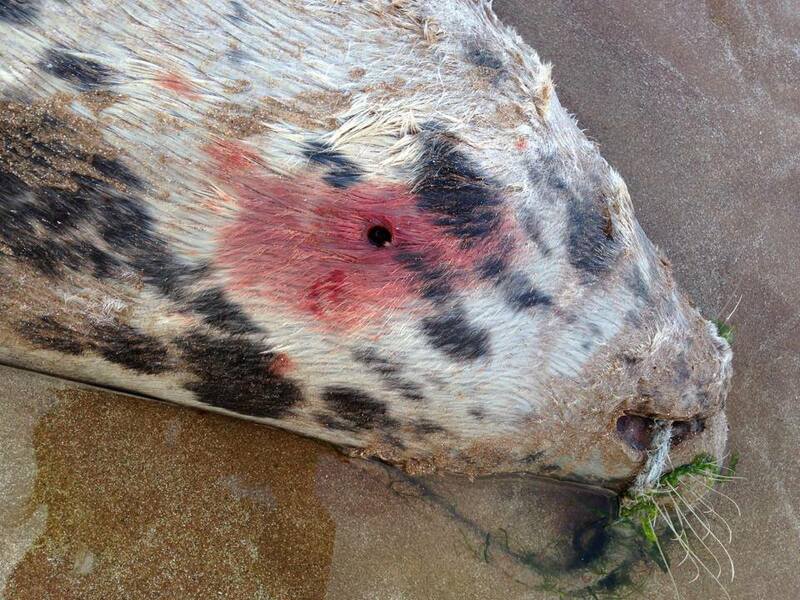 Some seals were shot in the neck instead of the head or shot several times in breach of official guidelines. The revelations have provoked a chorus of anger from animal welfare groups who condemn the killings as a “shocking catalogue of suffering”. They are demanding an end to the slaughter, and an immediate ban on the shooting of seals that are pregnant or feeding pups. Campaigners also point out that fish protected by killing seals are likely to fall foul of tough new laws on imports being introduced by the US. That could damage a £213 million market for Scottish salmon, they warn. 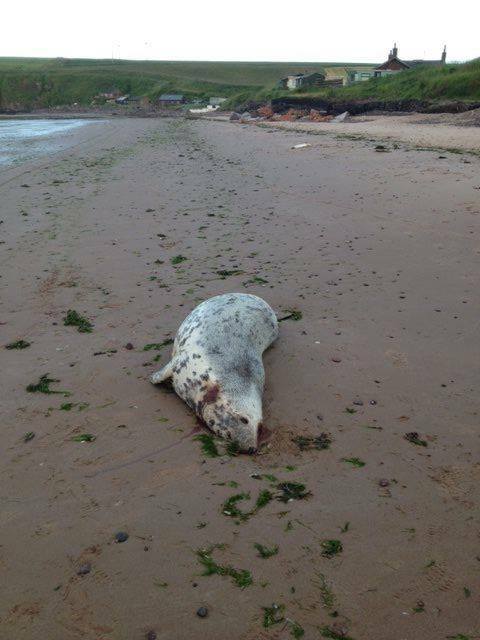 Over 1,500 seals have been reported shot in Scotland between February 2011 and October 2015. They are killed under licence from the Scottish Government by anglers, salmon netters and fish farmers to prevent them from eating fish. A third of the seals shot – 506 – were in Orkney or along the north coast of the mainland. More than 300 were shot on the west coast and the Inner Hebrides, and 239 in Shetland. The study by scientists from Scotland’s Rural College and the universities of Edinburgh and Bristol found that more than a third of dead seals sent for analysis were pregnant. Many others were shot at the time of year when they would have been rearing pups, and some had been shot in ways that would have not killed them straightaway. The findings raised “significant welfare concerns” and were a “cause for concern”, the scientists concluded. They recommended better enforcement, independent checks and increased use of non-lethal methods of controlling seals, as well as the introduction of closed seasons for shooting. 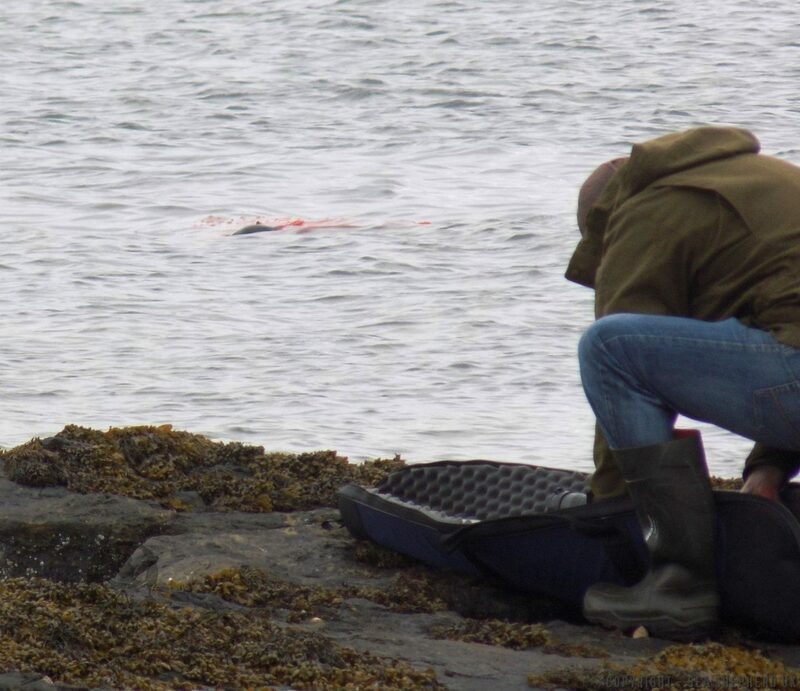 Of the 37 dead seals that were analysed, 13 were found to be pregnant. “It is likely that other, unrecovered, shot seals were also pregnant,” the study argued. The study cited evidence from post-mortems showing that seals had been shot in the neck or jaw, or had multiple gunshot wounds. 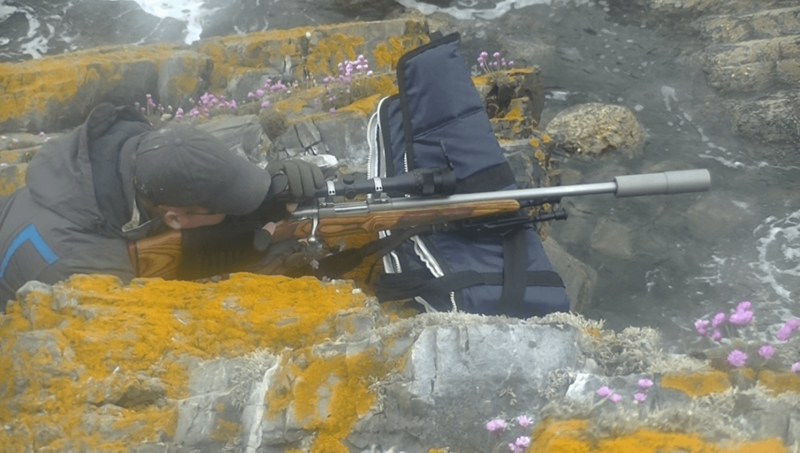 “There is clear evidence of seals being shot in ways that do not follow the Scottish Seal Management Code of Practice guidelines and which could negatively impact on the welfare of the seals,” it concluded. Harry Huyton, director of the Scottish animal welfare charity OneKind, expressed horror at the shootings. 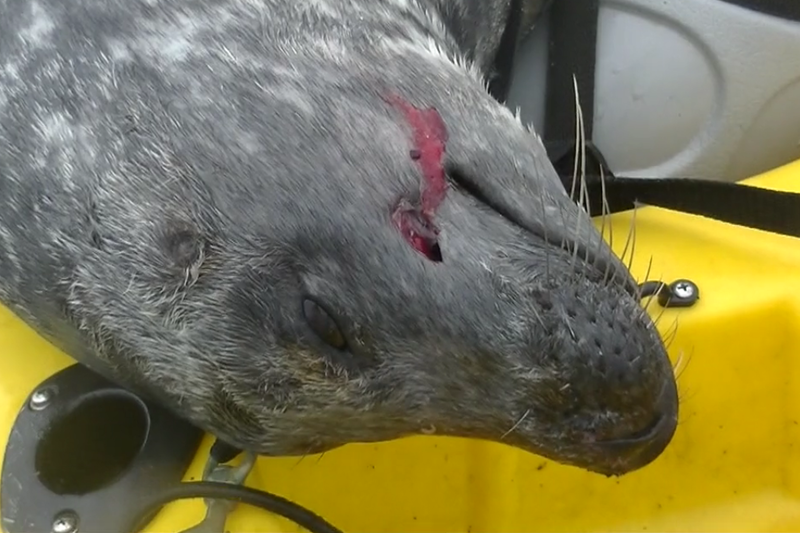 “The continued killing of seals by the fishing industry is a serious welfare issue,” he said. Huyton pointed out that the US National Oceanic and Atmospheric Administration had last month agreed new rules to limit the import of fish. To comply with US standards, nations that want to sell to the US must have a programme that “prohibits the intentional killing or serious injury of marine mammals in all fisheries”. As Scotland officially licenced the shooting of seals it was hard to see how it could comply, Huyton argued. The US is the top market for Scottish salmon, with exports of 41,000 tonnes worth over £213 million in 2014. Don Staniford, an anti-fish farming campaigner from the Global Alliance Against Industrial Aquaculture, called on fish farmers to install anti-predator nets around salmon cages, rather than reaching for guns. “Scottish salmon is shamefully drenched in the blood of dead seals,” he said. The fish farming industry pointed out that it was the only fisheries sector that was now promising to reduce the number of seals shot to zero. “The Scottish salmon farming industry takes very seriously its responsibility to animal welfare,” said the chief executive of Scottish Salmon Producers’ Organisation, Scott Landsburgh. Neither the Salmon Net Fishing Association of Scotland nor the Association of Salmon Fishery Boards responded to requests to comment. Between 2011 and 2014, 54 per cent of seals were shot by netting stations and river fisheries, and 46 per cent by fish farms. According to the Scottish Government, the number of seals shot under licence dropped by 61 per cent between 2011 and 2015. The introduction of a licensing regime in 2011 had ended the unregulated shooting of seals, it argued. “If granted, seal licences will authorise shooting of a limited number of seals as a last resort within an area and for a period specified in the licence,” said a government spokesman. “The shooting must be undertaken by a marksman with appropriate skills and experience”. He also pointed out that arrangements that had previously applied in closed seasons now applied all year round. “This allows Scottish Ministers to introduce additional licence conditions to protect heavily pregnant seals if required for conservation of the species,” he said. A version of this article was published in the Sunday Herald on 4 September 2016. Photos thanks to Sea Shepherd UK.